Graduation season is now! If you’re going to celebrate your graduation with a party, you surely want this unique occasion to rock! Besides the relief from being confined to the four walls of a high school every semester, the food, the dance and the emotional parting ways with your friends, a graduation party can be made very memorable with awesome music. What should you expect when Mariachi Alegre de Tucson is part of your graduation celebration? 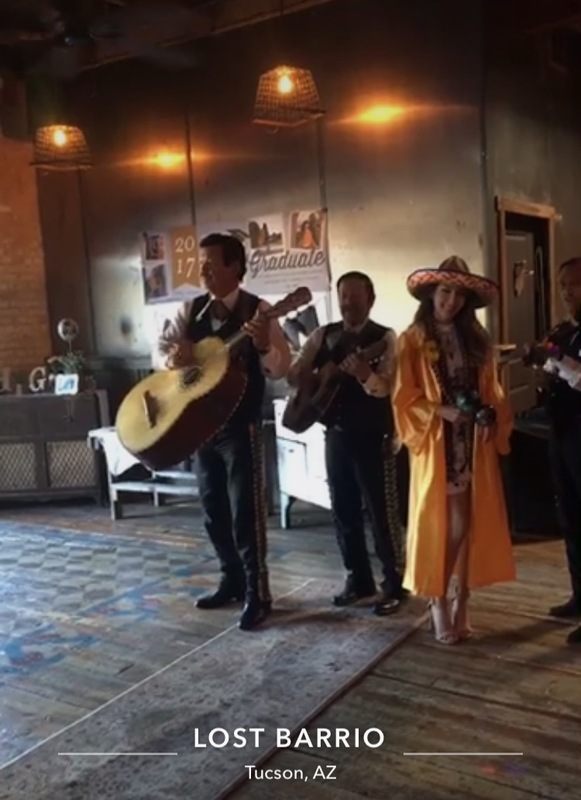 First of let’s see what other people have to say about their occasions and parties when Mariachi Alegre de Tucson supplied the party spirit in form of music. “Mariachi alegre was very punctual. They mingled and played all my guests requests. They worked well with my wedding planner at skyline club Tucson. She coordinated all the music and events Mariachi George was very flexible in working with my planner. I would love to hire them again.” – Mr. and Mrs. Huerta. “I hired the band long distance from Florida. George was an excellent spokesperson for the booking, and was very responsive to all questions, etc. The band played for my dad’s 80th birthday party and family reunion at The Esplendor in Rio Rico. They were on time, dressed great, and played all songs my dad and guests requested. Our group was small, but we enjoyed every moment of the party and the awesome music of Mariachi Alegre. I would hire this band again and highly recommend them for a birthday party, wedding, funeral, etc.” – Mary Jo. As the above reviews suggest, we have played at various different occasions including parties of all kinds, anniversaries, weddings and even funerals. We are well equipped and super adaptive to any mood required in the occasion. And we really know how to entertain! With many decades of experience under our belts, we’re the best Mariachi band in Tucson, AZ. At the graduation party, we set the atmosphere for a fantastic celebration for you, your friends and your family. We have been playing for all kinds of occasions for close to 50 years, so it’s no surprise that we know 2000 songs to play on request. We come dressed in traditional mariachi attire and engage all your guests in the party. Everyone gets to enjoy the drinks and food even better with music in the air. That graduation party plan isn’t complete without arrangements for a Mariachi Alegre de Tucson.